Since moving here in 1999, I’ve learned a couple of unique dos and don’ts when it comes to living in the Buckeye State. For one, I should never wear anything blue and yellow (“maize” is so subjective) out in public. Also, if I’m ever driving in my car and it starts to snow, I must either slow down to 4 MPH or else speed up to 83 MPH. Now, it would appear that I need to add something new to my unofficial list of proper Buckeye Protocol: Never, under any circumstances, eat all of an Ohio woman’s salsa. A 61-year-old Akron man apparently never got the memo, though, because that’s the heinous crime he’s accused of committing earlier this week. According to Cleveland.com, the man (Cleveland.com is apparently so disgusted with this guy that they refuse to name him and just repeatedly refer to him as “the man”) was sitting in his apartment, watching TV and nomming on some chips and salsa, when his girlfriend, 50-year-old Phyllis D. Jefferson, took offense to his bogarting the condiment-like object. When the man refused to stop eating the salsa, Jefferson stabbed him in the pelvis with a pen, knocked over the TV, and then stabbed the man with a “small kitchen knife” before fleeing the scene. 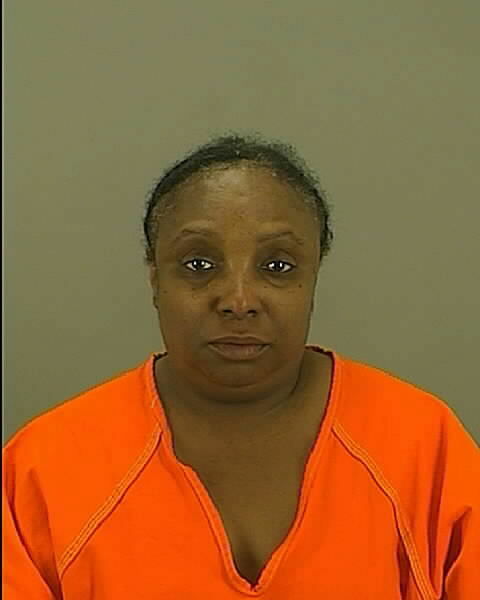 She was apprehended a short time later on Interstate 77. Jefferson has been charged with felonious assault and misdemeanor damaging. The whereabouts of the nacho chips are unknown at this time. You can read the full article from Cleveland.com here. Want more Ohio News of the Weird? Check out the archive here. When this report first hit my Strange & Spooky News Wire, I’ll be honest: I read it at least five times, looking for the punchline. Turns out the whole thing is true. 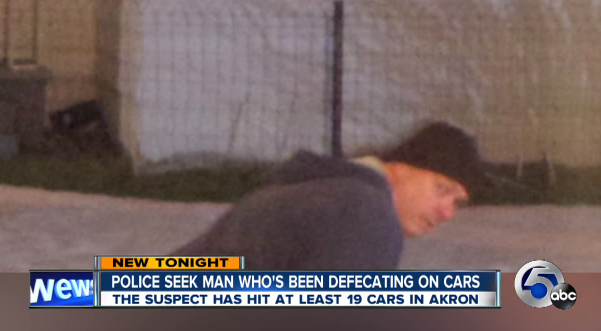 Seems that since 2012 (yes, you read that right), a “Mystery Pooper” has been defecating on parked cars around Akron. And apparently this guy really needs to cut down on his fiber intake because he’s crapped on at least 19 cars to date. One resident had her car “defiled” 7 times! Dubbed the Bowel Movement Bandit, I think we can also safely assume this guy takes his morning coffee and/or cigarette around 5:00 am as he usually strikes “between 5:30 and 6:30 am”. Sadly, I was imagining someone a bit more limber. But hey, gotta give props to the guy for being really into his work. I mean, I can’t remember the last time I was brave enough to drop trou on a frozen public street before the sun came up…at least not sober. Akron police are asking for your help in capturing this Fiber One-addicted fella. Anyone with information is asked to call 330-375-2552. And please don’t attempt to approach this guy…unless you’re wearing surgical gloves and carrying some nice antibacterial gel. You can read the full report from Newsnet5 by clicking here. There’s video, too, so you can laugh along with the reporters as they try (and fail) to keep a straight face. Want more Ohio News Of The Weird? Check out the archives here. In less than 24 hours, the mystery of what caused the Little Bear Creek in Dayton, Ohio, to turn a lovely shade of purple was solved. Of course, during that time, everything from UFOs and secret government testing to “Barney using the creek to bathe” were blamed. Turns out it was just chemicals. According to WHIO, the Ohio EPA concluded the culprit was the inorganic chemical compound, potassium permanganate, which is commonly used to “treat and clean” water “before it’s discharged” (i.e. : dumped into a creek). 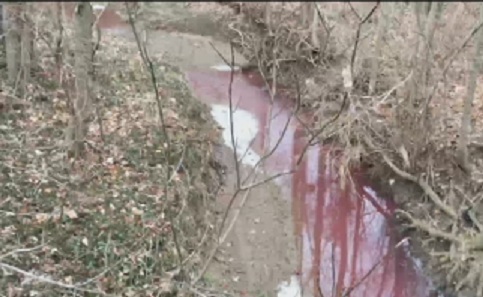 A nearby company, Fulmer Landscaping, “discharged” water that had been treated with potassium permanganate into the creek, but they had apparently used too much of the chemical, which resulted in the purple color. The case is ongoing, but Fulmer Landscaping has agreed to “shut off the process” while the Ohio EPA continues to monitor the situation. 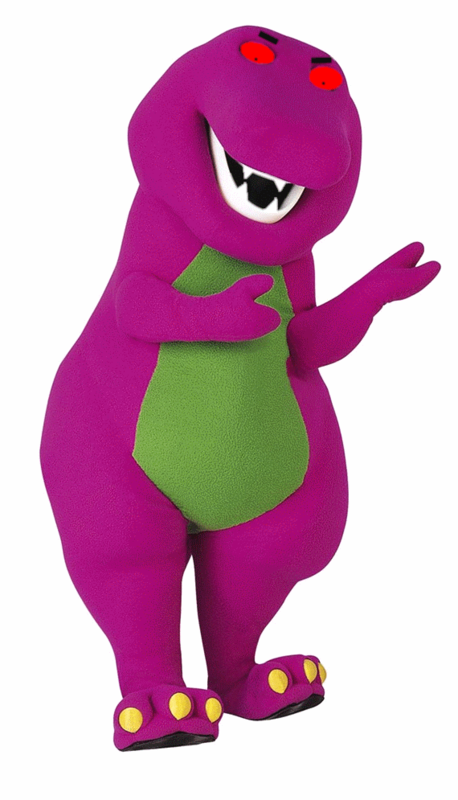 Personally, I still think Barney had something to do with it. Admit it: that’s one evil dinosaur. Read the full report from WHIO here. Well, I’ve finally poked my head out of my 2014 Holiday Bunker and am busy getting reacquainted with my strange and spooky world. So lots of catching up to do! With that in mind, let’s start with this bit o’ weirdness out of Highland County, Ohio. Pretty weird, huh? 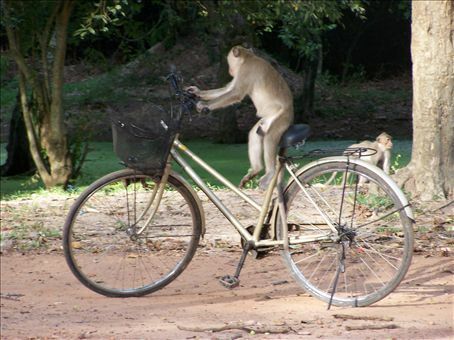 But of course, these sort of sightings are never as clear-cut as they seem. So this case is already started to get a little confusing. To begin with, the story first “broke” when it appeared in the December 19th edition of the Highland County Press. In the article, which may or may not have been written by Ron McGlone of MUFON-Ohio (the article’s byline simply states “information by Ron McGlone”), there is only a mention of a single witness, a “60-year-old former Marine”. Things get even more confusing towards the end of the article, where there is a link and several random, unattributed quotes. Following that link will eventually lead you to the official MUFON report, which was filed by the former Marine’s wife, who was allegedly also in the vehicle at the time of the sighting. That seems a little odd, especially since she had just finished stating how the creature ran in front of their vehicle. But perhaps she was just recounting what her husband described seeing and she never saw the creature at all. Finally, the woman’s statement contains an interesting reference to their being “a perfect circle that stays fresh green, no matter what weather” in the couple’s front yard. So of course, government conspiracy fans are jumping all over this one. So what sayeth you? Anyone out there have a recent encounter with a 7-foot grey creature with no arms and backwards legs? If you did, you know I’m dying to hear about it! You can access the Highland County Press article here. Another article on the encounter, with a bit more information, can be viewed here. A copy of the MUFON report that was filed can be accessed here. Need to catch up on your Ohio News of the Weird? Check out the archives here. According to Dayton’s WHIO, mother Nicole Allen walked into a local Dollar Store and purchased what she thought was a “magic wand” for her 2-year-old daughter. When they got the wand home and the daughter started playing with it, Nicole was shocked to find that when the silver metallic “snowflake” was peeled back, it revealed a photo of what appeared to be a demonic woman slitting her wrists with a knife. 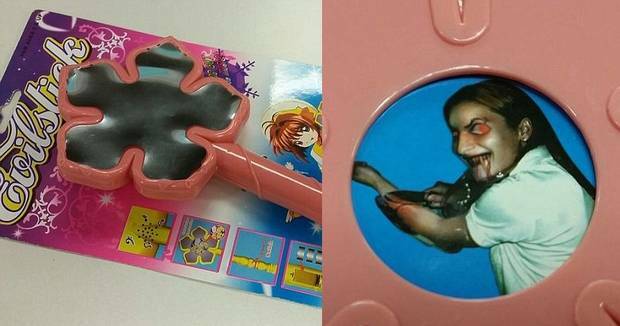 Nicole was outraged but when reporters confronted store owner Amar Moustafa, he simply said that parents need to pay more attention to what they are buying for their children, pointing out that the name of the toy is “Evilstick”. He has no current plans to pull the toy from the shelves, but said he would consider doing so if enough people complained. OK, I’ll admit it: I absolutely LOVE dollar stores of all kinds! You can find some of the coolest, weirdest things lurking in their aisles. But there’s a reason everything’s being sold for only a dollar. These types of stores sell everything from expired food and damaged products to items which could only be termed “bootlegs”. In these stores, you get what you pay for. I’m not faulting this woman for buying a $1.00 toy for her child. Heck, I’ve gone into those stores and dropped $20.00 on stuff for Courtney (and OK, some stuff for me, too. Gotta feed the Strange & Spooky Museum, you know). But here’s the thing: I don’t let Courtney out of my sight when she playing with any of those toys because I know they are all probably going to break, leak, or perhaps spontaneously combust within 15 minutes. I think the fact that, as the shop owner points out, what is being called a “magic wand” is actually clearly labelled “Evilstick”. That and the idea that the “wonderful music” the device is said to emit is actually one of those traditional Halloween laughs should have given the mom a couple of hints that this wasn’t really a wand that was going to summon rainbows and magical pixies. Do I think it’s an appropriate toy for children, especially a 2-year-old. whom the mother bought the EvilStick for? Certainly not. For one, if you look closely at the picture above, you can see it’s labelled for ages 3 and up. But I think even 3 might be a little young for something like this. But again, I think in this case, the mom should have taken a closer look at the packaging and the toy before chucking it in her buggy. 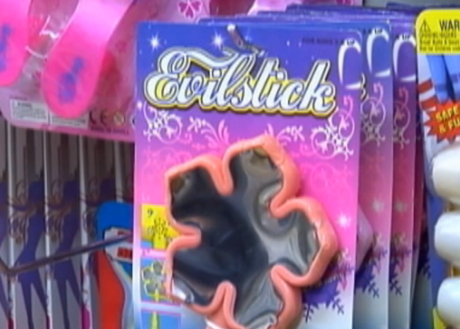 And yes, if anyone happens to be in a Dayton-area Dollar Store, I’d like an EvilStick, please. Not for Courtney, though. It’s for me, even though I’m pretty sure just touching that metallic-looking snowflake is going to give me cancer, Black Lung, and perhaps a wee bit of gout. You can read the original report and watch the video, on WHIO’s site. Just give a click here. Another report on the incident is available at The Independent, a news wire site from the UK. Great article if for no other reason that the author of the article seems amazed that the US has places called “Dollar Stores”, although they often refer to them as the “$.100 store”. Let me begin by saying that I don’t condone violence. In fact, when I first started reading the news report about how Jimmy Nguyen became so upset over his hair cut at a Chillicothe Great Clips that he decided to punch the hairdresser, my blog was the last thing on my mind. But once my eyes settled on the photo that accompanied the article, I knew it needed to be added to the Ohio News Of The Weird. In case you haven’t guessed, that’s Jimmy Nguyen’s mug shot, taken after he was arrested and charged with assaulting a Great Clips employee. 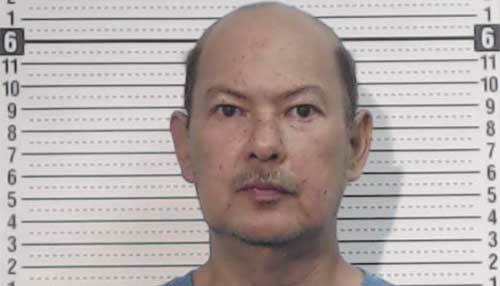 The assault was apparently set off by Nguyen’s disapproval of the hair cut he had just received. But here’s my question: what hair? For the life of me, I’m not seeing what Nguyen is so upset about. His sides look nice, trim and even, too. I think I might even detect a hint of product in there. As for the rest of his head, well, it’s not like Nguyen gave the stylist a lot to work with. OK, maybe Fletch is a bad example. You see, Nguyen is just an average Joe like me, with average hair. Fletch’s hair was the thing of legend and he was able to use it to his advantage. If you remember, Fletch was actually 6’5″–with the afro, 6’9″. Either way, if you’re that worried about how your hair looks, you might want to re-think that plan of walking into a random Great Clips unannounced (“no appointment necessary”) and handing your “$10 hair cut” coupon to the next available stylist. It sounds like the kind of story you’d hear as a child when you’re huddled around a campfire: a young, adventuresome boy decides to investigate an old, abandoned house. Once inside, he finds a mannequin hanging in one of the closets, no doubt put there by previous trespassers to scare those who followed in their footsteps. Upon closer inspection, however, the young boy is shocked to find that the mannequin is, in fact, the mummified remains of a man. It’s a creepy story, to be sure. What makes it even more disturbing is that this particular tale is true. According to Dayton resident Michelle McGrath, her 12-year-old son could best be described as “adventurous”. 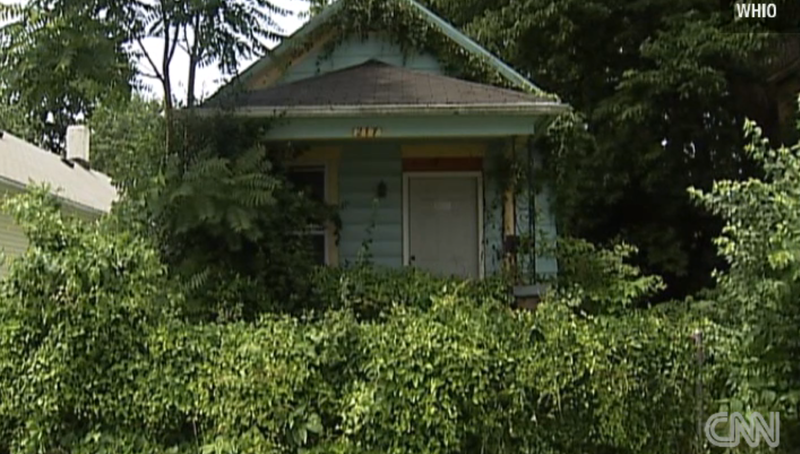 That’s the only reason she could think of as to why he decided to wander across the overgrown lawn and into the rundown house on Harbine Avenue in Dayton. 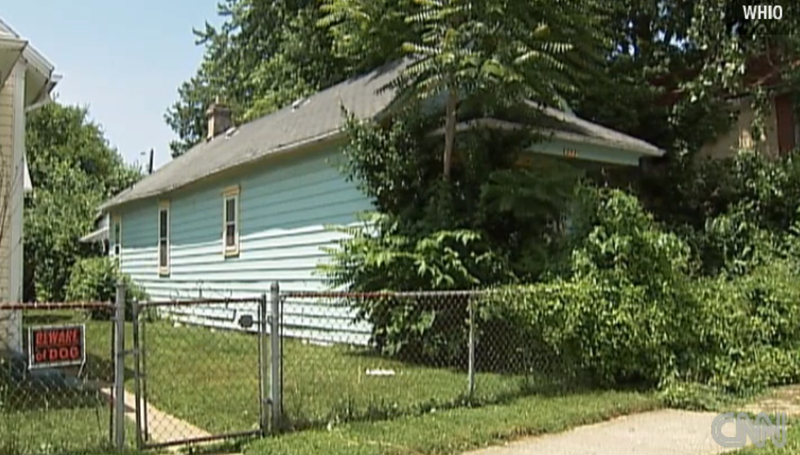 Locals report not having seen any activity at the house for years, so it’s unclear what the boy expected to find inside. What he did find, hanging from a belt inside a closet, was what the boy originally mistook for some sort of mannequin, made up to look like a mummy. But once he realized that he was looking at actual human remains, he ran back home and told his mother, who called the police. 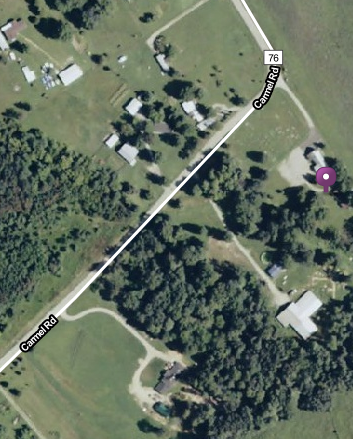 When authorities arrived, they were able to determine that the body belonged to Edward Brunton, who purchased the home back in October of 2009. The Montgomery County Coroner’s Office concluded that Brunton committed suicide shortly after purchasing the house and that his body had been hanging inside the closet, undisturbed, for close to 5 years. The door to the closet had apparently been closed, which kept the body out of direct sunlight and away from critters, allowing it to take on a mummified-like form. As to how Brunton’s body was able to remain undiscovered for so long, residents claim they never saw anyone coming and going from the house. Indeed, it would appear as though Brunton never even officially moved into the house as it was mostly unfurnished. He had also never paid any taxes on the house. Brunton was also estranged from his family and friends, which may be why he was never reported missing. And that, to me, is what makes this story so damn depressing. You see, each and every one of us would like to think that we matter. That there are people who care about us and will miss us when we’re gone. What’s more, they will keep our legacy alive, in some small way, by reminiscing and telling stories about us. Put another way, one of my greatest fears, and one that I think I share with many of you, is that I will be forgotten. That I’ll be gone one day and no one will care. Yet, that is exactly what happened to poor Edward Brunton. He passed away and no one knew or seemed to care. In fact, had it not been for a random neighborhood boy, Brunton’s body might still be hanging there in that house. Sad. Check out CNN’s coverage of the story, complete with video, by clicking here. The Washington Post also covered the story. Go here to read it. 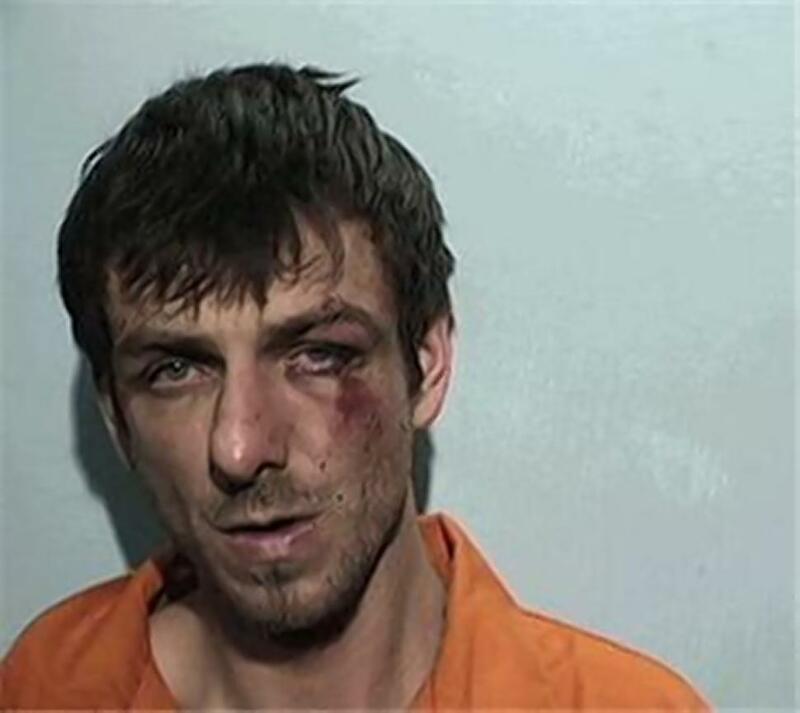 Want to check out even more Ohio News Of The Weird (ONW)? There’s a whole mess of stories right here!